I’ve been meaning to eat at Le Coeur de France for the longest time. I finally got the chance to do that and try their latest food offering: croughnuts. 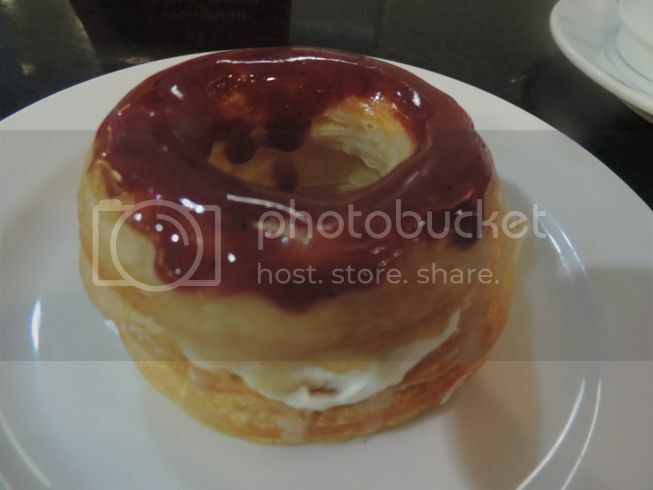 They have three croughnut flavors that they’re selling for Php89.00 each: Double Belgian Chocolate, Parmesan Cheese and Mixed Berries with Cream Cheese. I bought all three, tasted a little of everything, and brought home what’s left for my son and hubby. It took just one bite for me to know that this Double Belgian Chocolate croughnut was freshly baked. I also knew just by looking at it that this was what my son would like because it’s topped with chocolates. It also had Bavarian cream inside, another one of his favorite foods to eat. 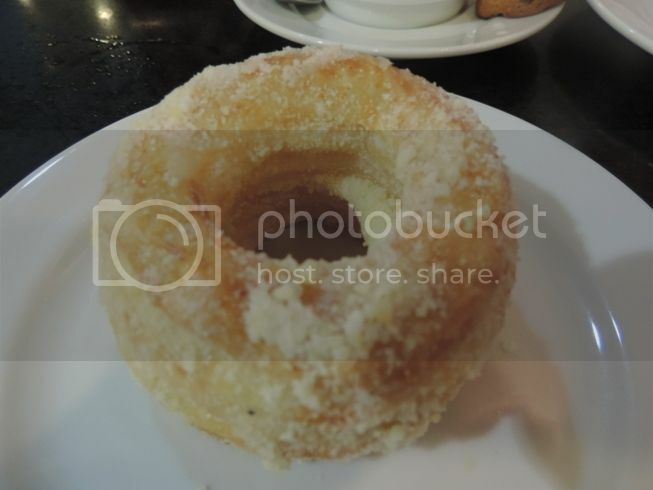 I bought this Parmesan Cheese croughnut because I love cheese, but I was overwhelmed with the sweetness of the Bavarian cream inside this croughnut. Mixed Berries with Cream Cheese was my favorite among the three croughnuts because it wasn’t too sweet. It had mixed berries syrup on top and cream cheese inside. After trying out all three croughnuts from Le Coeur de France, I know now for a fact that croughnuts (croissant + doughnut) are called as such because they have the texture of croissants and the taste and look of doughnuts. 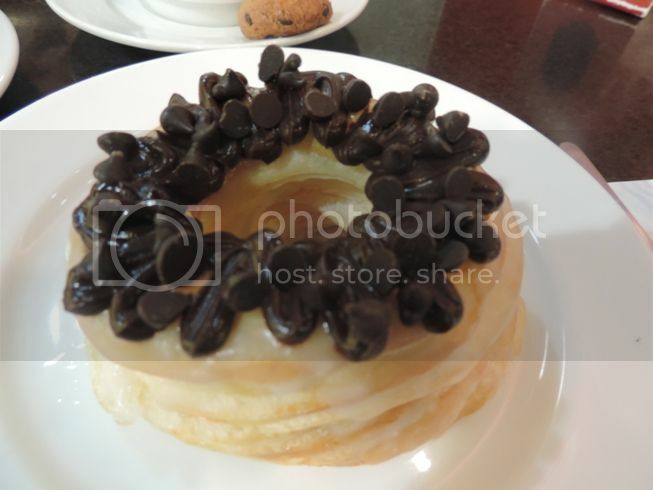 This entry was posted in Croughnuts, Le Coeur de France. Bookmark the permalink. wow! I love le coeur de france my favorite is the mango tart and lalo na pag may off sila sa hapon 🙂 hihi 🙂 This one is a must try! In Rob pala.. may ganyan? I only thought sa Shang lang meron.. I never saw doughnuts there either, lol Seems yummy though! I haven’t tried their cronuts yet but my friend said it’s a bit overpriced.. But knowing le coeur de france, their pastries are a bit expensive nga BUT the quality and taste is superb!